Wondering what to do at Hollywood studios? While some people criticize Hollywood Studios for not having enough to do compared to the other Disney parks, it actually has tons to do for families and solo travelers alike. What to do at Hollywood Studios? You have Toy Story Land, Star Wars: Galaxy’s Edge (coming in 2019, but there’s a lot of Star Wars rides & attractions open now, Frozen Sing-a-long, restaurants like the Sci-Fi Dine-In Theater Restaurant, and yes; Twilight Zone’s Tower of Terror is still going strong in Orlando! Walt Disney World is an amazing place! My family has been to Disney parks 4 times (not counting my many trips before I had a family). It is truly the “happiest place on Earth”! So in this post, we’re diving in deep into Disney World’s Hollywood Studios. We’ll explore all the rides, talk about Toy Story Land which debuted in 2018 and get a sneak peek into the Star Wars Land (officially called Star Wars: Galaxy’s Edge) coming by the end of 2019. But specifically, we’ll look at exactly what to do at Hollywood Studios on your next visit so you know how much time to allocate. You won’t want to miss Mickey Monthly! Mickey Monthly was the first and is still the most popular monthly Disney mystery box company, exclusively for diehard Disney fans. These monthly Disney subscription boxes can include Disney pins, officially licensed Disney items, or a Disney Parks items, and are delivered to your door every month. Learn more at Mickey Monthly! Hollywood studios, for those that don’t know, is one of the parks in Florida’s Walt Disney World. Unlike Disneyland, where the park is segmented into different segments you can walk to, Disney World is different. In Walt Disney World, you drive or use Disney transportation between The Magic Kingdom, Animal Kingdom, Epcot Center, and Hollywood Studios. Hollywood Studios captures the glamour of old Hollywood and most of the rides are centered around films and the film industry (as opposed to characters). Since having a car is helpful at WDW, if you’re flying to Orlando, a car rental makes family travel MUCH easier; especially going between parks at Walt Disney World. Check out the amazing deals on rental cars on Travelocity. What are the best shows at Hollywood studios? More than an attraction or a ride, Disney parks are also known for their extravagant shows. Whether it’s parades, firework displays or seated performances, Disney parks have some amazing shows and Hollywood Studios is no exception. Make sure to take in all of your favorites! Indiana Jones™ Epic Stunt Spectacular! – You’ll thrill as Indiana Jones and his sidekick Marion as they do amazing stunts with amazing special effects and showcase movie-making magic. All ages, any height. FastPass+ available. Star Wars: A Galaxy Far, Far Away – Rey, Kylo Ren, Chewbacca, BB-8, Darth Maul and other classic characters recreate classic moments, right in front of you! All ages, any height. Star Wars: A Galactic Spectacular – End your day in a galaxy far, far away with this brand new nighttime spectacular. The show features state-of-the-art projection effects, dynamic lighting, lasers and explosions to light up the night like no other performance! Muppet*Vision 3D – Take in the timeless and classic Muppets in this hilarious, 3D film combined with live-action. All ages, any height. FastPass+ available. Frozen Sing-Along – Join Anna, Olaf, Kristoff, and of course, Elsa in this family-friendly sing along to all the songs you love to hate from the Disney classic Frozen. More details on this one below. No age/height restrictions. FastPass+ available. Voyage of the Little Mermaid – A show that mixes live action, 4D effects, puppets & laser projections. All ages, any height. FastPass+ available. Beauty and the Beast – Live on Stage – A Broadway-style musical held at the Theater of the Stars, on the recreated Sunset Boulevard. Disney Junior Dance Party! – This replaced the Disney Junior – Live on Stage! show and features characters from Mickey and the Roadster Racers, Vampirina, Doc McStuffins, and The Lion Guard. Fantasmic! – Join Mickey Mouse as the Sorcerer’s Apprentice as he leads the longest-running nighttime, outdoor extravagant musical. Not your standard Disney parade, this features plenty of your favorite characters, lasers, fireworks, water projections and so much more! Of course, we know our kids are going to want Disney swag for that next park adventure or just in general. So do what I like to do and NOT buy it at the park. You can save a boatload and still get great quality Disney Princess Dresses , Disney World backpacks , and even lightsabers for a fraction of what you might pay in the park, so click those links to see current options and prices on Amazon. What are the best rides to Fastpass at Hollywood studios? FastPass+ is designed to save you time. You may be familiar with FastPass as it’s been around Disney parks for a while. However, in Walt Disney World, they moved to the FastPass+ system which did away with the paper passes in favor of a more app-based system. For now, Disneyland in California remains on the original system. If you aren’t familiar with that system, you will most definitely want to check out all my Disney FastPass+ Secrets and Tips before your next visit. Every Disney park is different in terms of the size and how long it takes to enjoy. Want to know Which Disney Park is the Biggest? Or maybe which is the most crowded or how different parks compare to one another? Definitely take a moment and review one of my newest posts on that. Is the Great Movie Ride still at Hollywood studios? The Great Movie Ride took park visitors on a backlot tour of Hollywood. It was located at Disney’s Hollywood Studios, inside the WDW’s replica of Grauman’s Chinese Theatre, an iconic movie theatre in Los Angeles. The ride opened in 1989 and ran through August 2017. So, unfortunately, it can no longer make your list of what to do at Hollywood Studios. The ride will be replaced by Mickey & Minnie’s Runaway Railway, a 2 and 1⁄2 D ride (3D without glasses) which is slated to open sometimes in 2019. Speaking of 2019, the best time to plan your Disney trip is at least 6 months ahead of time (or more)! Check out all my crucial Steps to Plan a Vacation. What are the best places for food in Hollywood Studios? There are a TON of great restaurant options in WDW’s Hollywood Studios. 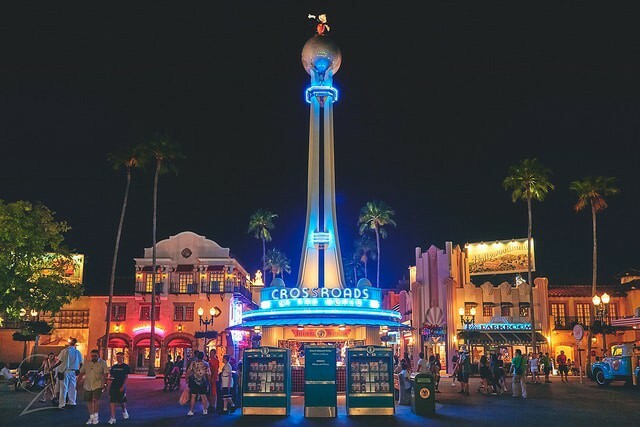 Hollywood Studios features everything from food carts to the fine dining experience in the full-scale replica of Hollywood’s legendary Brown Derby. You have almost every kind of food experience, including character dining, you could wish for. Also know that while alcohol had been pretty limited at the “happiest place on Earth”, it began to be served in more places as of 2016. But if you’re wondering “does Disneyland serve alcohol”, just know that Disneyland in California remains dry. However, that will change when the Star Wars cantina opens later in 2019. Desperately wanting to go to a Disney park but aren’t sure how you’ll pay for it? 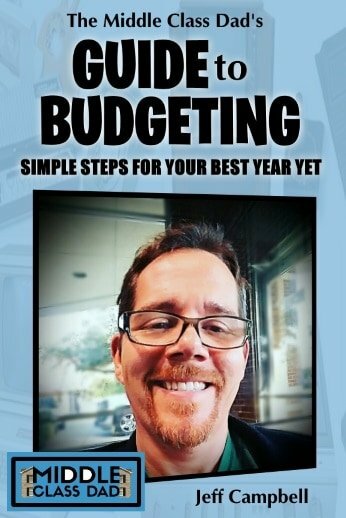 Check out my Vacation on a Budget tips! What can you do at Disney Hollywood Studios? Disney’s Hollywood Studios is designed to be an immersive experience. You are surrounded by the sights, sounds, and sensations of classic 1940s & 50’s era Hollywood. Walk across movie backlot sets, take in parades, and meet and greet famous Disney characters throughout the park. Of course, there are some amazing and classic rides in Orlando’s Walt Disney World, and Hollywood Studios is no exception. Check out my complete list of rides and attractions below for exactly what to do at Hollywood Studios. Ready to book? Right now, CheapOAir has flights to Orlando as low as $111, round trip! How many rides are at Hollywood Studios? Bear in mind that Toy Story Land just opened in 2018 at the back of Hollywood Studios. Star Wars: Galaxy’s Edge is set to open by the end of 2019 (both at Walt Disney World’s Hollywood Studios and at Disneyland in California). Thus, more and more rides and attractions have come and will continue to come. Also, bear in mind Hollywood Studios features backlot sets, parades and lots of movie-themed shops and restaurants. Alien Swirling Saucers – Board a toy rocket and hang tight as the Pizza Planet Aliens take you to outer space. You might just get picked by “the claw”! A variation on Mater’s Junkyard Jamboree from Cars Land in Disneyland. All ages, height requirement 32″. FastPass+ available. Slinky Dog Dash – A family-friendly roller coaster where you ride in cars inside of Slinky Dog’s coils. It twists and turns and features mild drops. Height requirement 38″. FastPass+ available. Toy Story Mania! – The original Toy Story attraction prior to Toy Story Land opening. Ride and shoot moving targets at 4D, yet old-school-style midway carnival game featuring all your favorite Toy Story characters. All ages, any height. FastPass+ available. Also, don’t forget if you opt for the Disney Early Morning Magic hours at Toy Story land, not only will you be among the first guests to play with Woody and Buzz, but you also get a fantastic breakfast! Ready to dive into what’s coming with Star Wars: Galaxy’s Edge later this year? Check out Disney’s sneak peek of the Millenium Falcon ride! Star Tours – The Adventures Continue – This ride debuted in 1987 and is the original Star Wars ride. In 2011, the ride (at both Disneyland and WDW) was converted to its current incarnation. Essentially this ride is a motion-simulator where you board a spaceship and take off across the galaxy and view the large viewport through 3D glasses.Unlike the original ride which just had 1 journey, the ride now has 384 possible variations and also features the voices of many of the actual cast members including James Earl Jones as Darth Vader. Height requirement 40″. FastPass+ available. Star Wars Launch Bay – Check out some amazing props & models from Star Wars: The Last Jedi. Then play Star Wars games, take pics, watch videos, and meet n’ greet with Star Wars characters. No age/height restrictions. Star Wars Launch Bay Theater – View a behind-the-scenes look at the Star Wars saga and check out how a new generation of movie makers are crafting the future of Star Wars. No age/height restrictions. Star Wars Photo Opportunities – Take pics in Star Wars settings and using replica movie props such as standing under an AT-AT walker, riding an Imperial speeder or hanging out inside an exotic interstellar cantina in a land far, far away. No age/height restrictions. Jedi Training: Trials of the Temple – One of the most popular attractions for many years now, and originally called the Jedi Training Academy, your younglings will train to be Jedi masters. Then, in the ultimate test, the young Jedis will do battle against Darth Vader or Kylo Ren. Darth Maul had been a character as well but was replaced by Kylo Ren in 2016 after Ren rose to popularity in The Force Awakens.No age/height restrictions, but they need to be able to hold a lightsaber on their own. Star Wars: Path of the Jedi – Watch a brief film walking us through the Star Wars saga, all the way up through Star Wars: The Last Jedi. No age/height restrictions. Also, don’t forget to check out Star Wars: A Galactic Spectacular Dessert Party at Disney’s Hollywood Studios. You’ll enjoy a delicious Star Wars-themed dessert buffet and souvenir stein, surrounded by Kylo Ren, Chewie, and BB-8. But you’ll also get reserved seating to the amazing Disney Movie Magic and Star Wars: A Galactic Spectacular. The best places to stay book up quickly though, so make sure to check out all the amazing deals on Disney Resorts in Orlando. Sci-Fi Dine-In Theater Restaurant – Half restaurant, half attraction, I couldn’t keep this off the list. While it’s indoors, you’ll feel like you’re in a 1950’s drive-in movie theater, featuring classic American food and sci-fi movie clips showing on the big movie screen. Rock ‘n’ Roller Coaster Starring Aerosmith – See my more detailed description below, but this is Disney’s rockinest roller coaster. Like Space Mountain, it’s an indoor coaster with wild drops, twists and turns set in the Hollywood Hills and hosted by rock legends Aerosmith. Height requirement 48″. FastPass+ available. The Twilight Zone Tower of Terror™ – A WDW classic which opened in 1994. While this ride was previously available at Disneyland in California, that ride has since been converted into a Marvel ride leaving Hollywood Studios as the only US location for the Tower of Terror. It is also available in Paris and Tokyo. Enter the world of Rod Serling’s classic Twilight Zone TV show and movie as guests check into a haunted hotel. The ride is elevator-based and hurtles riders up and down in this spooky classic. Height requirement 40″. FastPass+ available. Walt Disney Presents – Take a journey through Walt Disney’s imagination and explore his history courtesy of a multimedia extravaganza. The attraction includes rare artifacts, never-before-seen props, models, sketches, and more. Self-guided. No age/height restrictions. Where is the Frozen sing-along at Hollywood Studios? Inside Walt Disney World’s Hollywood Studios is an area called Echo Lake. There you will find a 30-minute Frozen sing along with Anna, Elsa, Kristoff, and yes Olaf. Shows start at 10:30 am and run until 7:30 pm. Echo Lake is almost in the center of Hollywood Studios. FastPass+ is available for this as well. Don’t know about FastPass+? Check out my ultimate guide to FastPass+ which can literally save you hours of time on your next visit! As you enter the park, just continue straight until you get to the Animation Courtyard and then turn to the left. If you can’t find it, you may have to Let it Go. Is Rock N Roller Coaster scary? Rock N Roller Coaster is a rollercoaster featuring rock legends Aerosmith which opened at Walt Disney World in 1999. They opened the 2nd version at Disneyland Paris in 2002, but it is not available at Disneyland in Anaheim. In Feb 2018, Disney started work on the Paris version to convert it a Marvel themed roller coaster, but the ride remains in Florida. Rock ‘n’ Roller Coaster Starring Aerosmith is also the fastest and most intense of any Disney park’s roller coaster. It has crazy half-corkscrews, 3 spots where you are inverted, and a sea serpent roll. The ride launches from 0 to 57 mph in an astounding 2.8 seconds. If you or your kids love roller coasters (and it doesn’t hurt to also love Aerosmith since they are the soundtrack to the ride), then you will love Rock ‘n’ Roller Coaster. But yes, Rock ‘n’ Roller Coaster is a little scary. Like Space Mountain (now called Hyperspace Mountain in some Disney park locations, the ride is an indoor roller coaster. Thus riders are in the dark for much of the ride but whizzing past The Hollywood sign, neon billboards, highway signs, and other Hollywood landmarks. The height requirement on this ride is 48 inches, so slightly taller than Space Mountain and should definitely be on your list of what to do at Hollywood Studios if you are a thrill seeker. 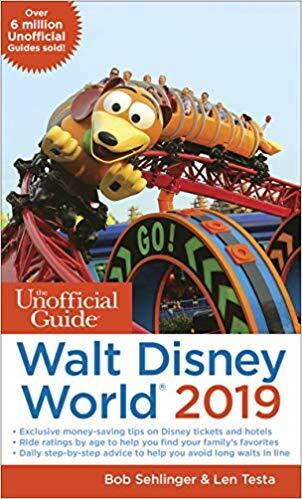 Dive in deeper with The Unofficial Guide to Walt Disney World 2019! 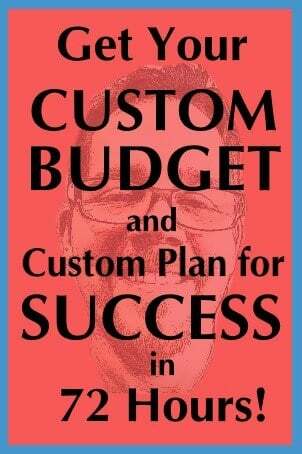 4.5 stars on Amazon Prime and well over 1,000 reviews tell you this is THE book to have for your next visit! What do we know about Star Wars: Galaxy’s Edge? Batuu is a remote outpost at the edge of the galaxy and was once a bustling center for traders. On Batuu, park visitors will get into the thick of things with two attractions that go way beyond anything Disney and Star Wars have ever done before. First, you’ll helm the controls of Millennium Falcon and take off on a secret mission. Next, you’ll find yourself right in the middle of the action in an epic battle between the First Order and the Resistance. Of course, all the classic Star Wars attractions remain as well and you’ll find yourself completely immersed into the world of George Lucas’ Star Wars at Star Wars: Galaxy’s Edge. Without a doubt, this is on my list of what to do at Hollywood Studios for my next visit! Looking for budget-friendly alternatives for your stay at Walt Disney World? TripAdvisor has tons of great deals, including some 4 stars under $100/night! Now that you’re ready to plan your next trip, why not check out The Best of Orlando? Did we cover everything you wanted to know about what to do at Hollywood studios? In this, we took an in-depth look at Walt Disney World’s Hollywood Studios; their nod to Universal Studios. We explored all the rides available, listed all shows, attractions, and restaurants. We also answered all the top questions about Hollywood Studios, and yes, also Star Wars: Galaxy’s Edge, so your next visit will be stellar. So you now know EXACTLY what to do at Hollywood Studios so you won’t miss any of the action! If you liked this post, you won’t want to miss one of my most read posts that details Disney World’s FastPass+ Secrets! Trust me! You won’t want to go to Disney World without checking that out first!